My snack of choice is fruit. Fresh fruit or dried fruit is a great choice to have in between meals. I usually eat 3 or 4 pieces of fruit per day as it is healthy, portable and there is so much variety. 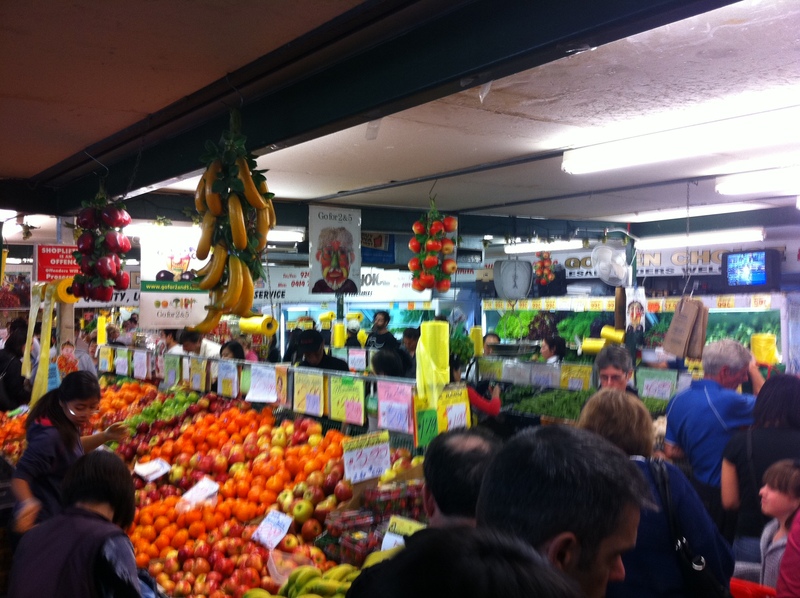 I buy all my fruit (and vegetables) from the Subiaco markets as I know it is fresh. I buy a weeks worth at a time so that I will always have some available to take with my to training or work. Growing up my family always had dessert after dinner so now that I live by myself I have carried on this tradition. Certainly not for everyone and something that needs to be combined with a healthy portion controlled meal. Fruit is always a great option. My dessert of choice is fruit such as strawberries, blueberries or mango with natural yoghurt. But if I am out and about then I’ll be having dessert at one of the my favourite places. Tutti Frutti. 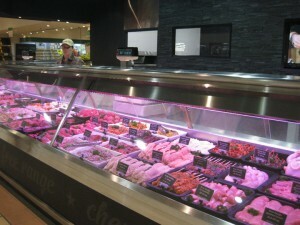 Here they sell various flavours of frozen yoghurt and all the mix-ins you could want. If you have not been before then I recommend you try blueberry and banana yoghurt with strawberries, coconut flakes and muesli. Delicious!! 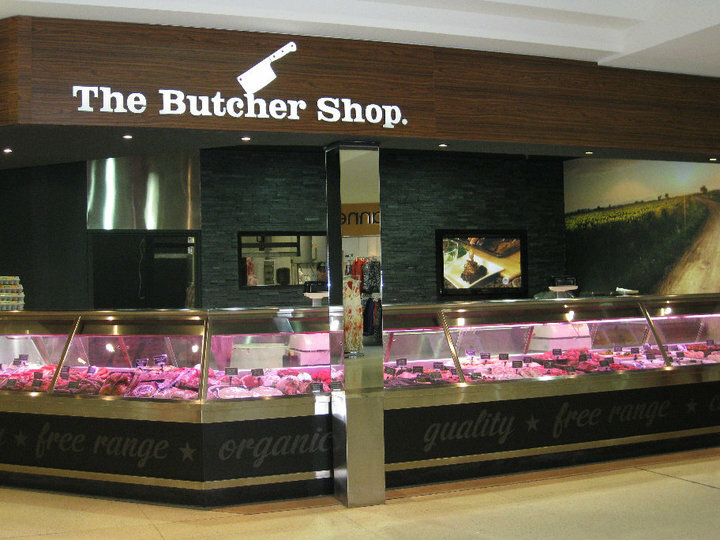 I am lucky enough to have the support of my local butcher David from ‘THE BUTCHER SHOP’ in Victoria Park, Perth. 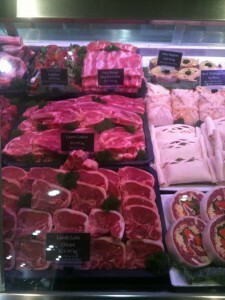 This means I can make sure I get my three serves of red meat each week and therefore lots of protein and iron. I love nothing more than to have friends around for a BBQ and salad so its great to be able to serve up some beautiful meat. This is one of my favourite drills to do as a goalkeeper. It is great to use in the preseason or just when you want to mix things up from your usual training in gear. I use it mainly to improve my hand speed and also my ability to save balls with my stick. It has always been a strength of mine yet given the weight of a stick, if you get things wrong it is very difficult to save a high ball stick side. So practice is crucial. For this exercise you will need 3-10 tennis balls. The more the better but you can do it with just 3. You will also need your stick, both gloves and a friend. The person doesn’t need to be particularly gifted so a friend, family member, team- mate or coach is fine. Stand about 2 meters away from the thrower and in a ready stance. To start with just have your friend throw one tennis ball at a time to varying positions. Make sure you catch with one hand as much as possible. Increase the speed of the throws and continue varying heights. If you want this to be a conditioning session keep going for about a minute then rest. The next exercise is more specific to your stick. Here your friend can throw the balls or hit them with a tennis racquet, cricket bat whatever they prefer. Each ball should go stick side and using your stick alone you want to save each ball by watching it right onto your stick every time. Start with slow balls at similar height then move to high balls and much quicker balls. Repetition is important here but keep the quality up by resting when you loose focus. Its very important that you follow every ball with you eyes all the way onto the stick. The final progression is to put your gloves on and do reps of 10-15 shots. Return to your ready stance between every shot and ensure that you watch the ball onto your stick or glove for every shot. I would love to hear your feedback on these skills sessions so please leave a comment below. Go directly to the ball with your stick, don’t swing at it. As long as it’s ok with the powers that be so to speak, I hope I can make use of this post to work out what plans can be made to further the use of this resource. It’s there and supported, so why not make full use of it? If you have read my profile thingamajig (which gives a little about me and why I write on here), I wrote a book when I was about 16/17, which I had naively hoped to get published, which obviously will take time to rewrite, given that I know it needs a LOT of work to be useful, in retrospect. Ironically time is not something I have much of these days, in spite of having being turned down by some very well known and reputable publishers on the basis of ROI – return on investment. Originally I really wanted to get a series of books published to help the hockey goalkeeping community – not because I want my name printed with something, although admittedly that would be nice, or to be in print, something which I will work towards. Everybody knows that (field) hockey is a sport with not the greatest support base of something like soccer (football where I am!) or American Football, for example, to juxtapose the two! Goalkeepers are often left to themselves and their own devices and teach themselves technique, which may not always be the best way of going about things. I myself did not get goalkeeper specific goalkeeping, until I was on the cusp of breaking into the top league in England (well, sort of!). If someone has recognisable talent, how are they objectively going to improve technically, if they cannot get the right support? I think it’s ok for me to say that an initial idea when communicating with Obo, was to have me publish a book that can be downloaded for the price of a coffee. Which isn’t much considering I can get a large filter for £1.20 (I know how to shop around and am probably lucky to be able to get such a price for the quality, though not everyone likes filter coffee! ), and I happen to drink a lot of coffee these days! Whilst I’m extremely grateful for the support of Simon and the rest of the Obo team in the various ways they have helped me, but it’s difficult for me not to consider attempting reimbursement for my proposal. As someone trying to break into writing as a means for paying the bills outside of Obo’s great Keepers Resources site, I know full well that a lot of companies can’t afford to pay me an office salary. As much as everyone loves something for free, everything comes at a cost; in this case, time! I think Obo suggested they would be happy to support me going down that avenue, in terms of allowing advertisement, but again, it is not their problem or in their interests to help me write a book when they are a company who sells equipment! The fact they set up the KR site, which is revolutionary and innovative in helping the goalkeeping community at large, considering no other company has bothered to do such a thing. Goalkeepers truly matter with Obo! Due to the nature of the establish companies feeling they would not get enough sales to get back the return on printing costs, images etc. I have looked into “vanity” or self publishing. I can do such a thing online quite easily, having done my research, but would prefer to know what people think first. Having said that, the passion for hockey and writing means I would happily work for free, it’s just difficult to do so, when time is money and I have very little time as it is. Whilst I want to do everything in life, am finding it’s not possible to fit everything into the limited hours of a day on a regular basis! 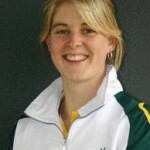 My problem lies in the fact that I am not an accredited coach. Whilst I do have a suitably sound hockey CV (subjectively! ), I am not Martijn Drijver! My articles seem to have been well received (I’d hope at least) and the sports publishing companies thought the manuscript was well written, even though I know it deserves redoing. I hope my writing ability stands for itself and that my technical analysis is ok, but I am certain a lot of people would dislike my stance on things because of not having accredited references. Coaching or personal based approach? The other thing to think about a book approach is how to make it usable. Should it be for goalkeepers who don’t ever get coaching, or should it have a drills-centred approach, other than just technical advice? Kathleen Partridge has produced a brilliant guide but for some people this may be not as helpful, especially if they have no chance of going through drills with a coach who understands what they are talking about! However, if there is no coach and these drills cannot objectively be incorporated into training due to the ignorance of a lot of team coaches. Not taking anything away from Kathleen’s hard and tremendous work though, it must be said, for I don’t wish to offend! In trying to rewrite the book, I went about splitting up areas of the game and producing guides in regards to each technical aspect, which are still works in progress. I think if beginners had access to developed theories they may be able to pick things up pretty quickly and advance their understanding in limited time. As a result, I could release these as downloadable PDF documents for use, which Obo have previously agreed to. In terms of working through what to write and redrafting these manuscripts, I am looking at open sourcing it to improve the quality for if or when I ever publish them. A lot of writers in a number of fields and genres are tapping into the open source approach and community feedback in order to produce something everyone would be happy to read. Although you can never please everyone! However, one of the obvious downsides of this approach is that you, the reader, would already know what’s been written, considering it would have been already read to make sure it was good enough! Getting photos is not too difficult (though I have to confess to obviously pinching others’ handiwork from time to time!) as I got myself a shiny SLR a while back and have a fair amount of pictures from high level games to utilise. Additionally, there are sports photographers and goalkeeping enthusiasts like myself, who are happy to help provide suitable visual representations of saves and technique. My drawing skills aren’t brilliant, but I know graphic designers and artists who could help out. I have also considered a collaborative project but people seem short on time or are not interested. A lot of coaches hold down full time jobs and have responsibilities which come with life, like family, so I understand that. However, I think it would be a good idea if possible and would ensure what I was writing was adequate for helping the goalkeeping community at large. Although I feel I can adequately articulate and put into words how to play the role of a goalkeeper, I am fully aware that everybody learns differently. I for one actually learn by being shown how to do something, then doing it myself and learning from my own personal mistakes. So my proposal to put forward is simply based on what people require. Are people actually interested in being taught technique? Or do they want to improve on the more important aspects of the ‘mental game’ and such like (a good goalkeeper is a confident one, always remember that; otherwise you’ll end up second-guessing and failing to perform at your best)? Anyhow, I thought it would be a good use of the medium of this site to find out what I can offer and obviously to check if people are still interested in me writing, and if so, if they think I’m any good! The idea of this was to make use of the comment function. Please post up what you think could be done to make best use of this site and help Obo give back to the goalkeeping community (as far as I know, they are the only company to facilitate this feature, although there are independent forums out there). So, essentially, please leave a comment (replying to the article) to voice your views (keep the thoughts happy though please!). It would obviously help a lot in regards to knowing what the global community out there would like to get out of this, if at all. Author Dan PilgrimPosted on November 13, 2011 November 13, 2011 Categories Dan's Tips3 Comments on Book or PDF? Using an open source approach?! Hand-eye co-ordination is essentially related to how you watch shots into the save (how you “read” the shot and then appropriately react with the right save selection). It obviously helps you to make saves with your hands, as you watch the ball into your gloves! 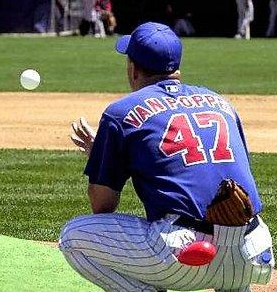 It is important to work on your skills to make sure that you can properly track the ball into glove saves. As it affects your ability to make the save, by being able to watch the ball and then move your glove in to stop the shot, you must regularly practise to improve. Hand-eye co-ordination is a required part of your game: if you do not have the technique to see and stop the shot, how are you going to make saves to the sides with your hands, or block in front of your body? It is a simple fact that you need good hand-eye co-ordination to play at a high level in a game that revolves around speed and raised shots. Unlike soccer where the ball is larger and therefore easier to see, hockey obviously uses a smaller ball, so you’re going to have a tough time seeing the ball, especially through screens. 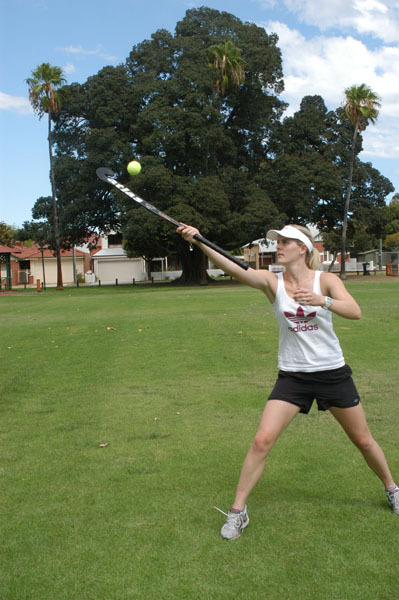 By improving your hand-eye co-ordination, you can be able to stop shots more easily. 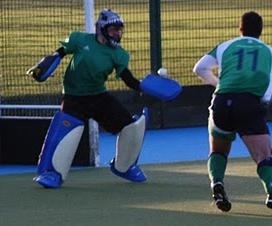 To be able to make saves like this, with your gloves, you need to have good hand-eye co-ordination. Bouncy balls are a great and fun way of practising your hand-eye co-ordination. They are really easy to get; you can buy them in corner shops, children’s toy shops, or sports shops. You can practise by throwing the ball hard onto the floor and then try to catch it; watching the ball take its unexpected bounce and into the catch. 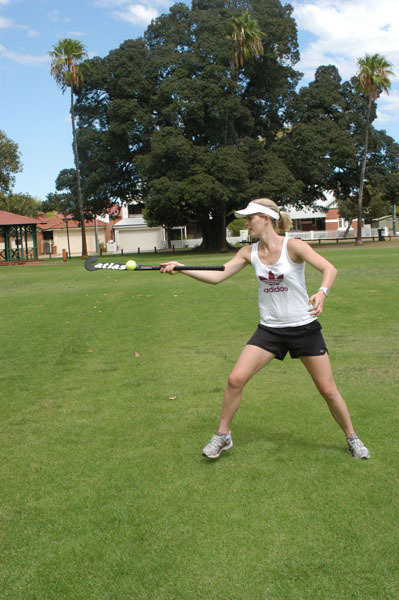 By doing this you have to use your eyes to watch the ball from its redirection, keeping up with the change of angle: this way, you are actively using your hand-eye co-ordination to make the catch. Throwing a ball against the wall is a great and simple way of practising hand-eye co-ordination. The ball is thrown against the wall diagonally, bouncing off the angle to be caught at the other side. You can vary the difficulty of the drill by making things harder for yourself to work that much harder. You can close your eyes when you throw the ball and then open them to make the catch. Because you cannot see where the ball is going (or on its initial throw), you have less knowledge as to where it’s going. Also, clapping in between a catch is another way. Try to make a clap between throwing and catching the ball to speed up your movements. By doing this, you can test your abilities even further; forcing your reactions to be faster. Juggling is a great way of learning to watch the shot into your equipment; watching the balls as you juggle. You have to maintain concentration throughout, watching the ball as it goes airborne, before catching it. You can start out with one or two, and then see how far you can progress. 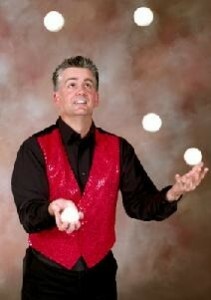 Juggling three balls in a row, or juggling two at the same time, are possible ways of challenging yourself to improve. 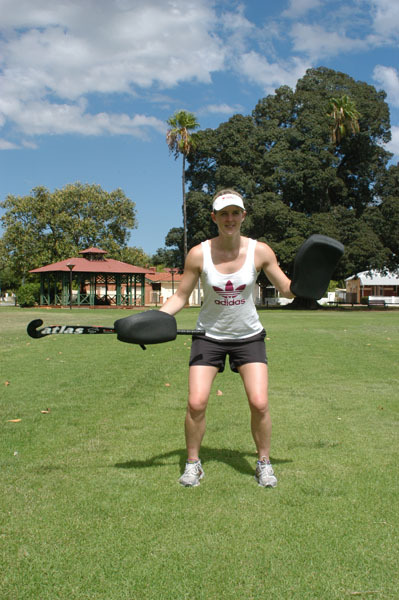 A great drill that you can do when in pads at training or before a match is to do the equivalent of “keepy-uppies” with your glove and a spare hockey ball. You can do this by starting off kicking the ball up off your kickers (like a soccer player would do) or bouncing it off your gloves and stick. You can do this just before training or a game to help you focus on the ball. The idea is to keep the ball going and up for as long as possible. Try to keep it for as long as you can; the longer you can keep it up, the better your hand-eye co-ordination and focus on the ball will get. Throwing and catching a ball in with someone else can help with your reading skills. You are having to watch the pass and then make the catch; working on your hand-eye co-ordination. With a partner, you can throw a tennis ball around between you, varying the speed and distance between yourselves to make it more difficult. Again, cross training in other sports can benefit your goalkeeping in hockey (playing other sports to work on your own skills within your chosen sport you want to focus on). 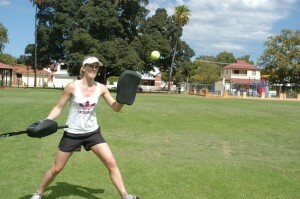 Any sport that involves catching is great for working your hand-eye co-ordination. Playing in goal in soccer is a goalkeeping orientated way: in soccer, the goalie has to catch the ball to make a successful save, where you have to watch the ball into the catch. Racquet sports are good as you have to focus on the ball when serving and hitting; the ball can also take some unexpected bounces, making it harder; working on improving your hand-eye co-ordination. Baseball (an American sport) is a good alternative: you have a glove that you need to watch the ball into to be able to make a good catch, as you throw the ball between you and a friend (this could also be done off a wall by yourself). To compare with another sport, Pekka Rinne is especially good right now in the NHL ice hockey league because of his ability to swallow up rebounds with a glove hand that acts much like a baseball catcher’s. Being the wicket keeper in cricket is a similarly good idea, as you have to watch the ball to be able to catch the batter out. Rugby or American Football could be other potential possibilities; you have to pass the ball around by throwing it and catching it; the odd shape of the ball makes it more difficult. So I would really appreciate if you could list the above conponents in rank order of which you feel are the most important for a GK. Didn’t know where else to put this, but figured it would be best to provide an update on my lack of input so to speak. In my absence from Keeper’s Resources, I was hoping others would step in to fill the case and that has happened to a degree, but not as much as I’d hoped. Rome wasn’t built in a day (as I was told before I started), so might as well keep persevering. In my opinion, my best articles over the time I tried writing for Obo were ‘out there’ and more interesting. Without going into detail, have found myself a little busy as a student and interest in the sport waned (although I have judged people for lack of commitment in regards to various things, have to be held accountable for my own lack of support for the goalkeeping hockey community). Without sounding zany, human beings are always subjective so it goes without a doubt that people aren’t always going to agree with what I think and vice versa. I try to write objectively having researched before I wrote articles. I would rather create discussion than not, but don’t want to offend, hoping to simply offer up an alternative opinion: in some cases in life I’ve found it is just best to agree to disagree. I’d like to think I’m open minded and am happy to change my view on things, as there are two sides to everything. I started out writing for Obo in the naive belief that I may be able to help others. Being published by a well known company was an achievement that wouldn’t have ever come to fruition without Simon’s choice to gamble on my writing ability. I am fully aware that I have no qualifications in coaching which makes life difficult and I’m probably just an enthusiast. I have since tried getting qualified and had the opportunity to coach in the English system but that obviously fell through. Writing under a pseudonym means I can admittedly use anonymity to hide away from personal attack and also helps shun the idea of ‘fame’ (had an interesting discussion in a seminar recently, given I feel strongly about never wanting to attempt to be immortalised in history by having my name published at the end of a piece). If people feel it’s important to know, I can say to what level I was at if you all would feel better about it, but I feel that’s in the past now. Having stepped out of the sport means I have realised I still enjoy being a part of it and looking in from a distance, without being drawn into personal bias (I hope) should better my writer. Retiring so young may be a disadvantage but right now I cannot play to the level I want; might as well quit whilst I’m ahead! Having persevered with various things that haven’t worked out (in life in general), I think it may be better with this new approach. So without further ado, here is my apology and hope for the future. I am happy to be held accountable to that so pester me if I don’t! My approach this year will be to provide quality rather than quanity and to contribute as and when I can given that my writing career is slowly taking off.